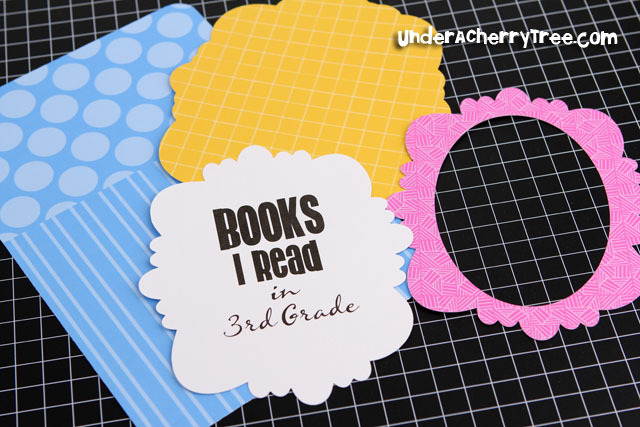 So I told you that I have sneak peeks for you and before I show them, let me say that Lettering Delights has A LOT of new files in the works and I am showing you just 3 of the sets that are coming soon. If you are not into the cute stuff, there is a new lacy set that will blow your socks off! By the way, for those of you who are not on Facebook, here is this week's 2-for-Tuesday offer: Get BOTH the Antique Type and Newsie Alphabets for only $2! I'm sorry that I didn't post this sooner as I was busy preparing for the first day of school. There are still several days to take advantage of the offer but do note that it expires next Monday, at midnight MST. Just click here or the image below to get your deal. and she's off to Kindergarten! Summer break is officially over for us. Today is the first day of school and I have two 3rd Graders and 1 Kindergartener! The past week has gone by fast and we tried our best to make the most out of the last few days of the school break. I do not have any new projects to share with you this week but that does not mean that I have not been cutting. In fact I'm going to show you a sneak peek of a new LD set later. For now, let me share an article with you that I came across the other day. The writer had put into words how I feel about my kids heading back to school and it is strangely comforting to know that I am not the only one who feels this way. LD Manic Monday: Let's Play! It's Monday again and here is another Manic Monday offer from Lettering Delights. Just click here or the image below to get your deal but remember, this offer is only good until midnight (MST) tomorrow. 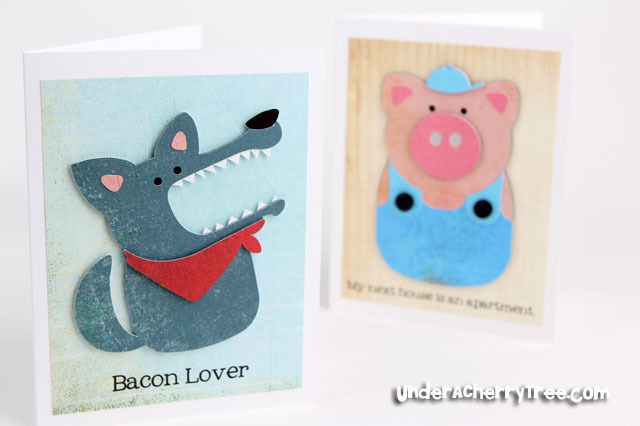 Lettering Delights' 15,000 Facebook Fans Freebies! Click HERE to get your free fonts and HERE for the free Happy Hour Graphic Set and Alphabet. It was Friday morning and I was sitting in the den. I marked with a sharpie as I go down my to-do list. The kids go back to school next week and I have to get everything ready. It is Kindergarten Open House day and I am preparing to bring the supplies to the classroom. 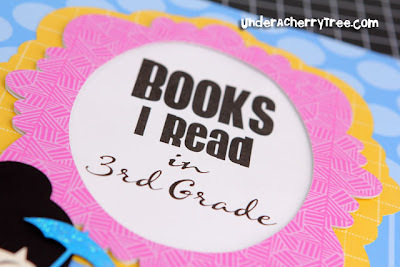 One thing on my list remains unchecked: a card for the teacher. My baby is going to Kindergarten and I am worried. She has repeatedly told me in the last couple of weeks that she is nervous and I have been trying to help her get over her fear. Today she gets to meet her teacher for the first time and I know she is anxious. Of all the things that I have told her, it seems that she only takes comfort in knowing that her teacher is probably even more nervous. Mrs. H is not only new to her but she is also new to the school. 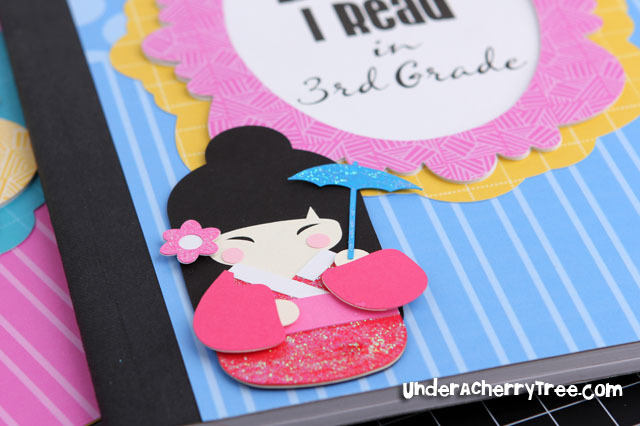 She is new to all the kids in the classroom, and their parents, and all her colleagues. I think that's a lot to be nervous about. I decided to have my 5 year old make a card for her new teacher. 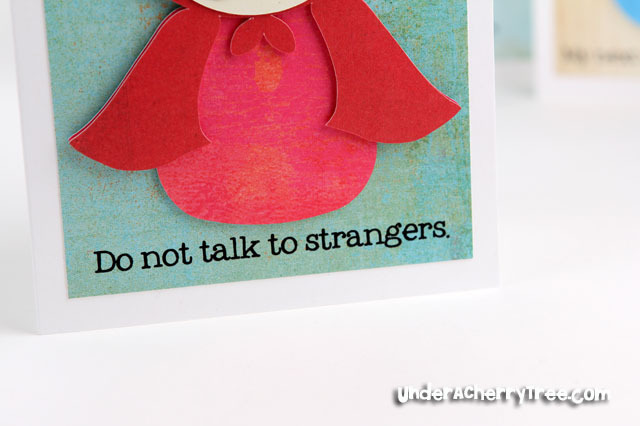 I used a cutout from the Kyoto Kuties set and printed the sentiment on the card front with the LD Trainer Vertical Lined font. Next I printed a note using LD Trainer Vertical and LD Trainer Vertical Lined Dots. 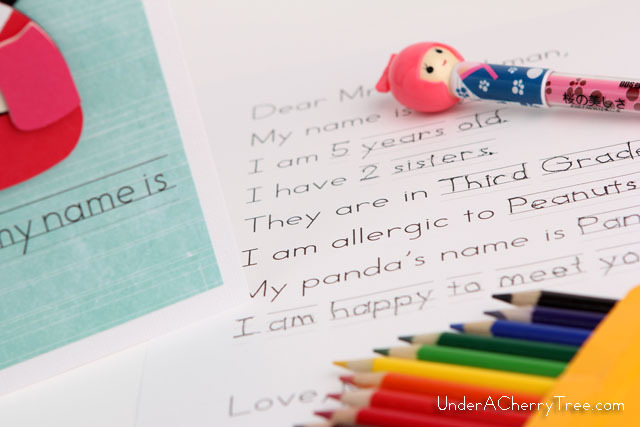 I got my little one to write on the note and sign her name. Lastly, I adhered the printout to the inside of the card. 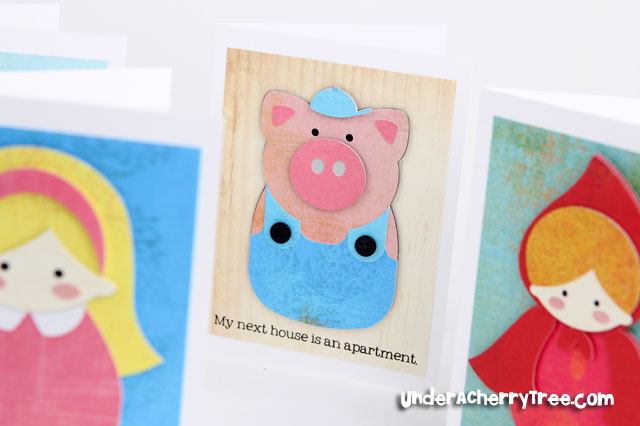 My baby was excited when she saw the finished card and couldn't wait to get to the Open House to hand it to Mrs. H. I was thrilled that she seems to have forgotten her nervousness even if it was just for now. 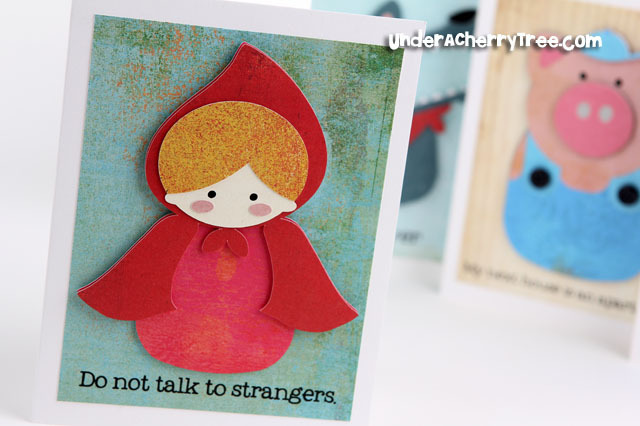 I hope that her card brings a smile to Mrs. H and may it calm her nerves too. Just click here or the image above to get your freebie. 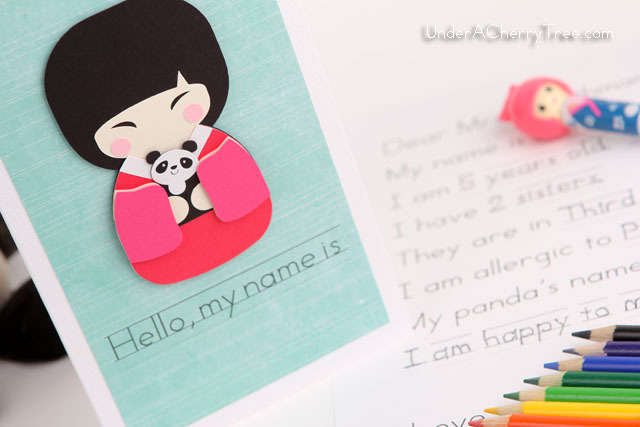 Oh lookie what I just found on the Lettering Delights website....NEW FILES! 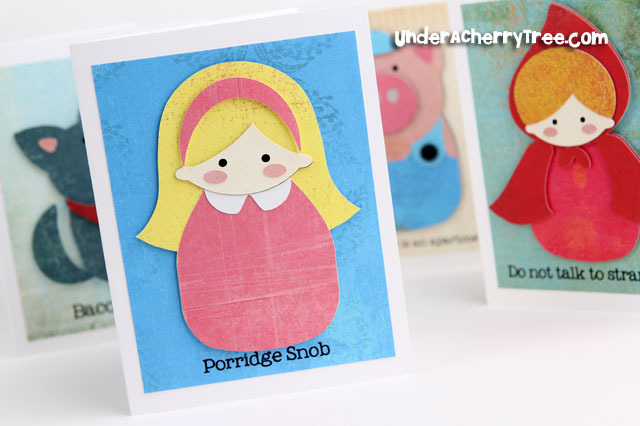 Many have indicated that they are looking for less-cutesy sets from LD. 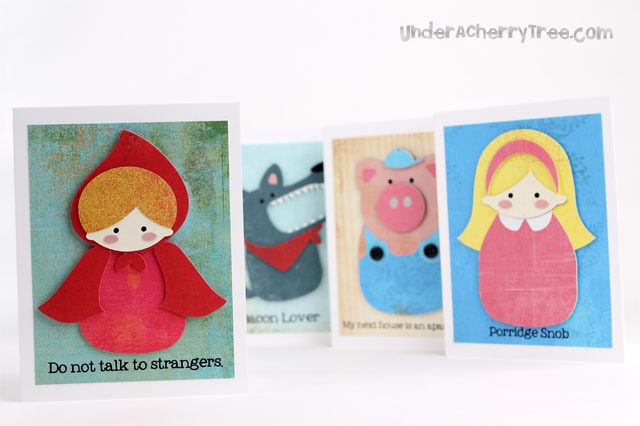 The new Hipsters Collection look really cool but are different from LD's usual "cutesy" style. Could this be LD's way of responding to the requests for "less cute" files? Who knows?! Click here or the image below to take a closer look at the Hipsters or Here Comes Treble sets. Congratulations, Kimberly! Please email me to claim your prize. I have recently received several emails from those of you who follow my blog via email. I am really sorry that Google has been sending out the blog posts late. I have been checking to see if there are any settings that I can adjust on my end that can enable Google to send out those emails sooner but I haven't found any way to change that. It seems that I can't control when they actually send those emails out. If anyone knows how to correct this, please let me know. In the meantime, please check my blog for the latest deals and offers from Lettering Delights. 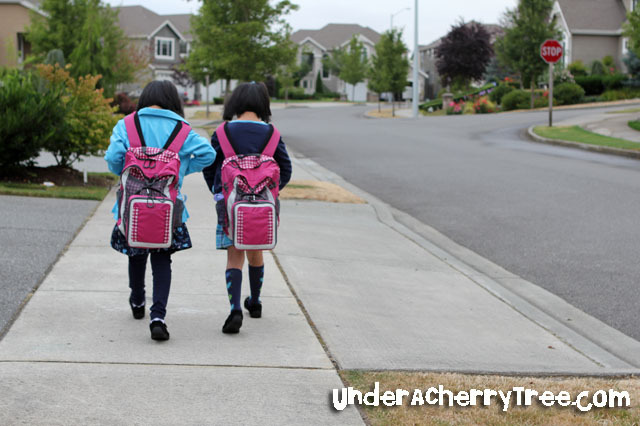 As a result of the delay, some of you have expressed disappointment at missing out on the Back-to-School offer. Lettering Delights has kindly agreed to extend the offer so that you can still take advantage of the great deal. Just click here or the image below to grab your $5 bundle before it expires on Friday. Here's today's Two-For-Tuesday deal for those of you who are not on Facebook. Just click here or the image below to get your $4 bundle ($4 for 2 SVG sets!!). Click here or the image above to get your Back to School Mania Bundle. The house is silent except for a painful, grinding sound that is coming out of my craft room. We had driven to the mountains for a weekend trip to a Bavarian village only to cut short our stay after one night. I had opened the door to go outside in the morning and instead of fresh mountain air, my face was hit by smoke. My heart sank when I found out that there was a wildfire in the woods nearby. The Silhouette stops and I look at the perfect little circles on the mat. My lips curled into a smile. Lettering Delights had released their insanely cute Finger Puppet sets on Friday and I was looking forward to cutting them out. Coming home early meant that I could cut these out now instead of next week. "I need to go to bed soon", I muttered as I absentmindedly position another sheet of cardstock onto the mat and loaded that into the cutter. Hubby is not going to be happy if he finds out that I am still playing. Screech....screech.....the blade plunged itself into the paper and starts slicing into it. I look up and see 2:30 registered on the clock. Half the night is gone and soon there will be light. I am spent but they are finished. Hey everyone, I'm out-of-town for the weekend but I saw today's Friday Freebie from my phone and I just had to pass it on to y'all right away! 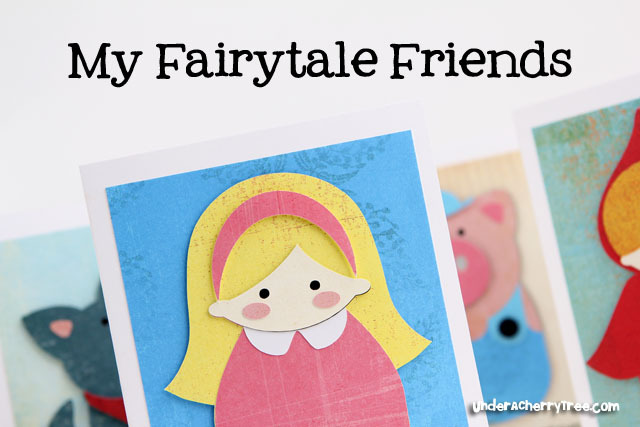 Click here to get your FREE Puppet Theater and here to get your Fairytale Finger Puppets Bundle now! 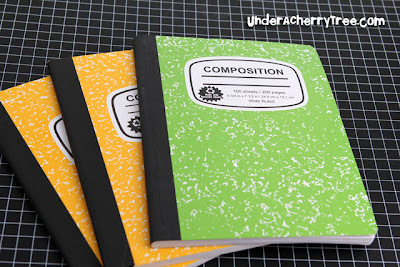 The Altered Composition Book Blog Hop + giveaway! 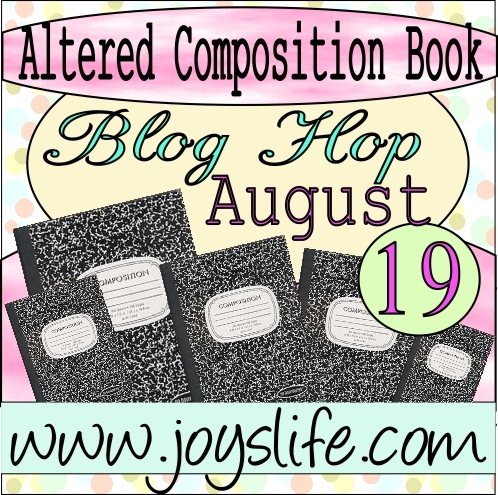 Welcome to the Altered Composition Book Blog Hop hosted by Super Joy! ME! --- Jin - http://underacherrytree.com/ --- ME! 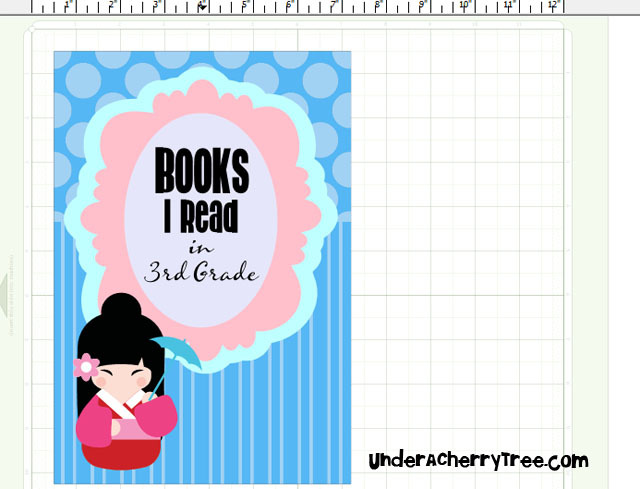 My kids are going back to school in less than 2 weeks and one of the things that I wanted to do for them before they do is a reading log book. I actually altered two spiral note books for them last year to record the books that they've read and it worked out so well I'm doing it again. The first thing that I did to prepare for this hop (besides buying some composition books) was to use Make-the-Cut to design the project. Once that is done, I was ready to cut and print out the pieces. 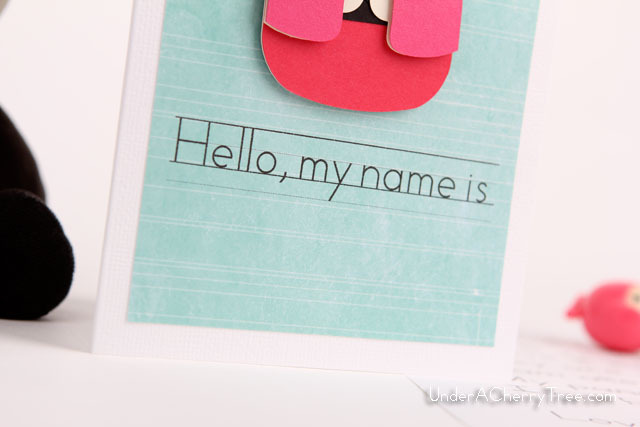 If you use Make-the-Cut, have you tried using the new Lettering Delights Cut It Tiles? 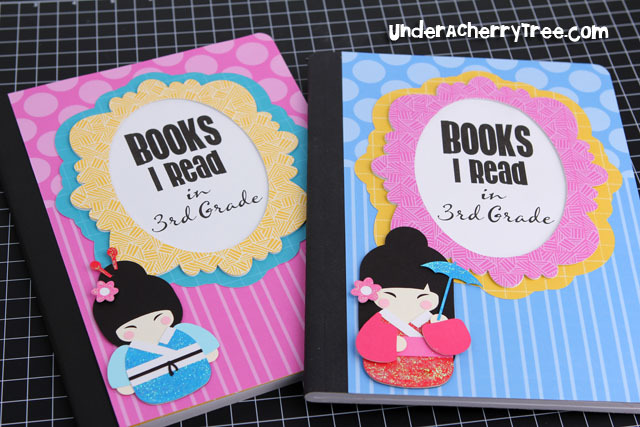 They are basically printable designs that you can use to fill in your graphics or SVGs. 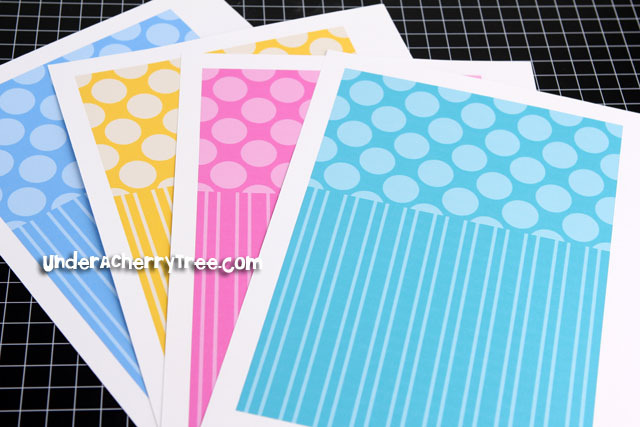 I also like to use them to design my own printable patterned paper. If you have not tried them out, just check out tutorial #37 on my LD/MTC Tutorials Page to learn how to use them. I traced a frame from the Lettering Delights Funky Frames clip art and filled the layers with the patterns from the Lettering Delights Basic Tiles. I printed and cut the layers out. 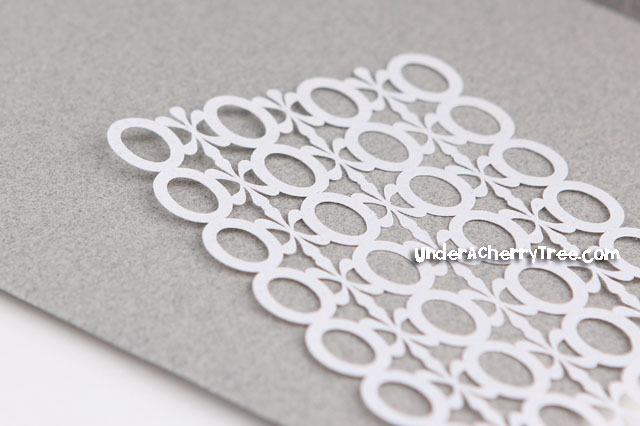 By the way, all the layers used in today's project were cut by my Silhouette SD cutter. I adhered all the printed layers with foam tape, ATG tape, and glue to the book covers and my altered composition books were completed. I love these kokeshi dolls. 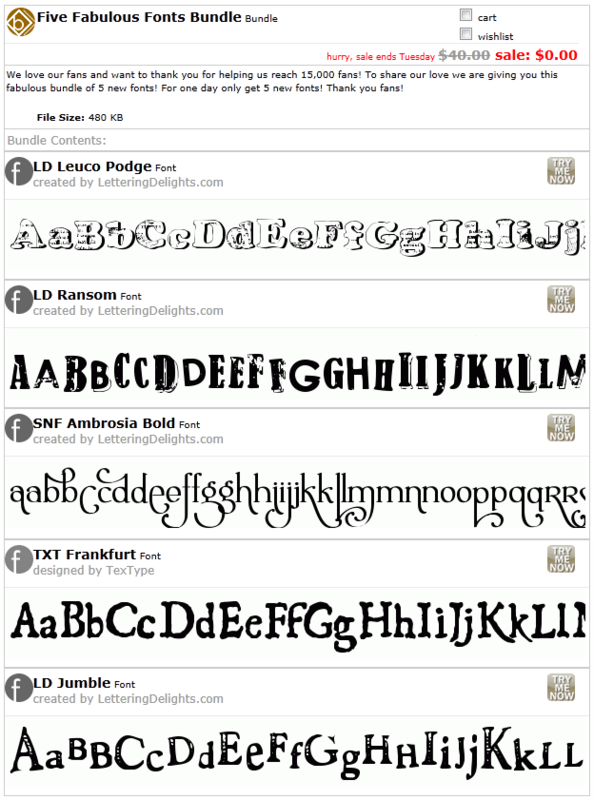 If you have not downloaded the Lettering Delights Kyoto Kuties, just click here and that post will lead you to the free download. Now on to the best part of a blog hop......BLOG CANDY!! SPLASH 6" X 6" Paper Pad by Echo Park. - Follow this blog. If you are not already a follower, click on the "Join This Site" button on the top right-hand side of this page. This giveaway will end on Monday, Aug 22, at 11:59pm PST and the winner will be announced on Tuesday, Aug 23. 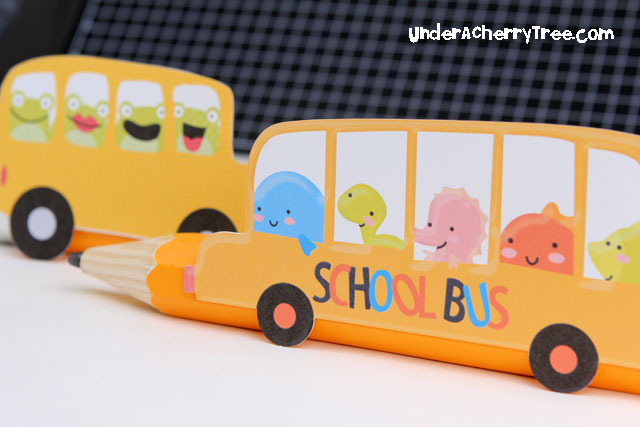 Your next stop is Julie's Cricut Chick. Click here to go there now. 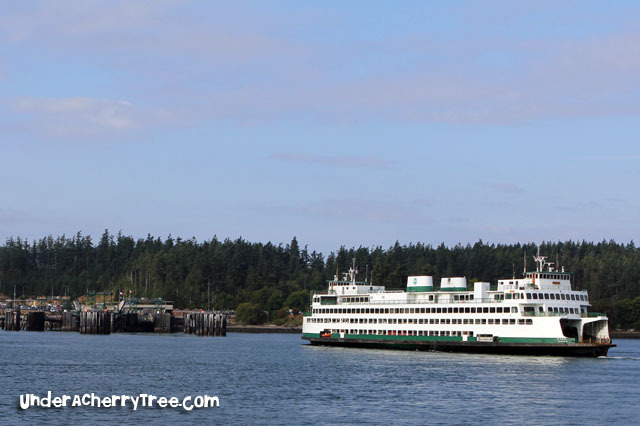 We took a ferry that looked just like this to get to Sidney, B.C., and from there, we drove to Victoria. 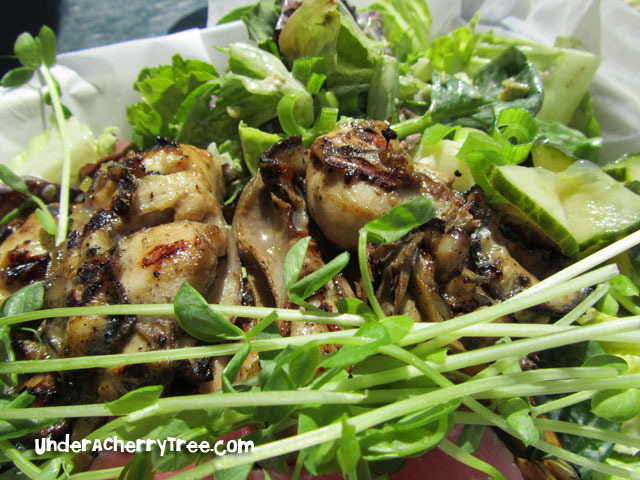 There is a reason why there is a perpetual 30-min wait line outside Red Fish Blue Fish. 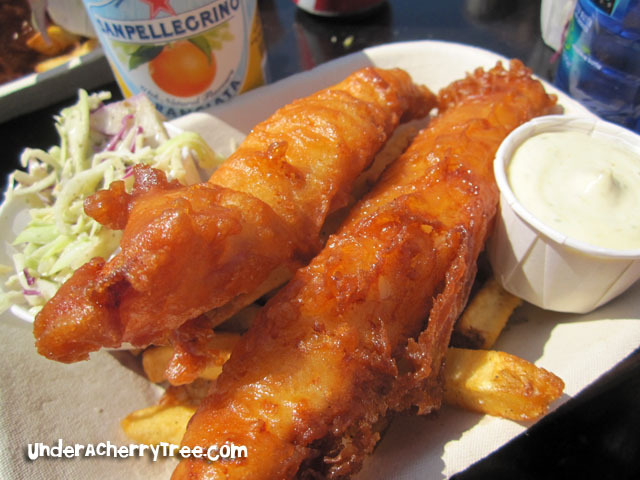 They serve some of the best fish-n-chips in town! My favorite item on the menu is the Spicy Fish Tacone. 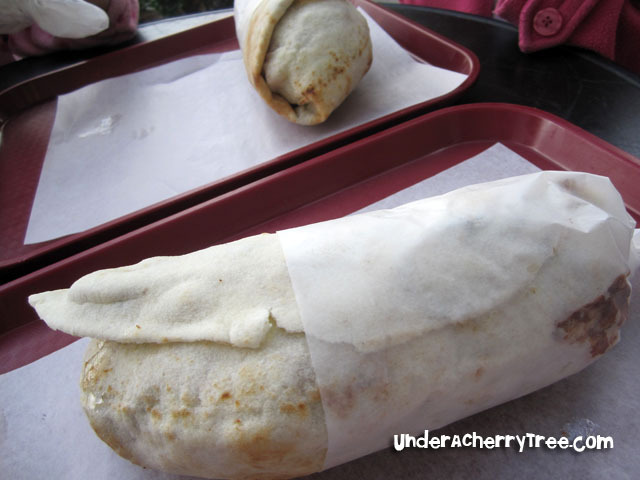 So many flavors put into a wrap! We stayed one night in Victoria, B.C. and got onto a ferry the next day. We arrived at Tsawwassen, B.C. 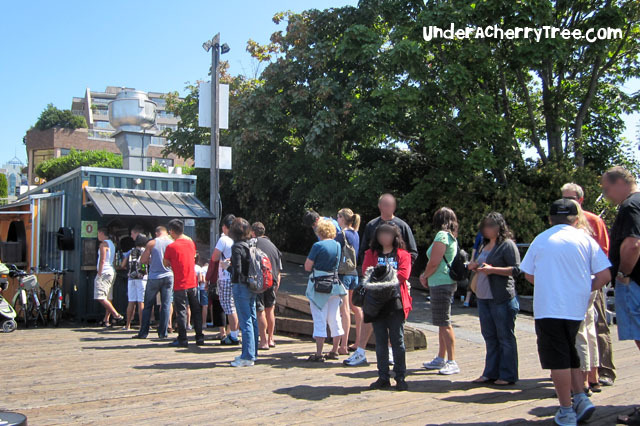 after a 90mins ride and from there, we drove straight to E.Hastings St. in Vancouver. 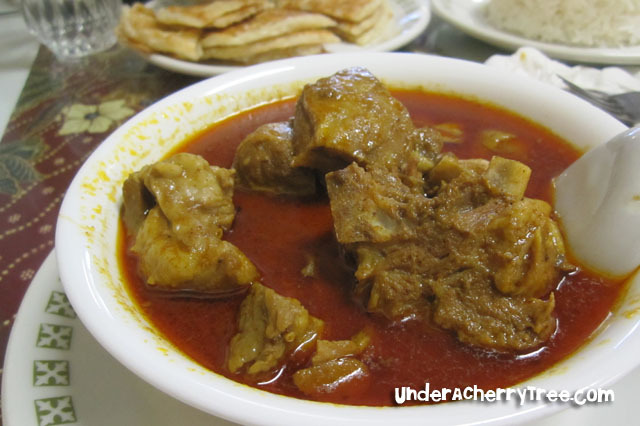 We refer to Yelp.com a lot for restaurant reviews. 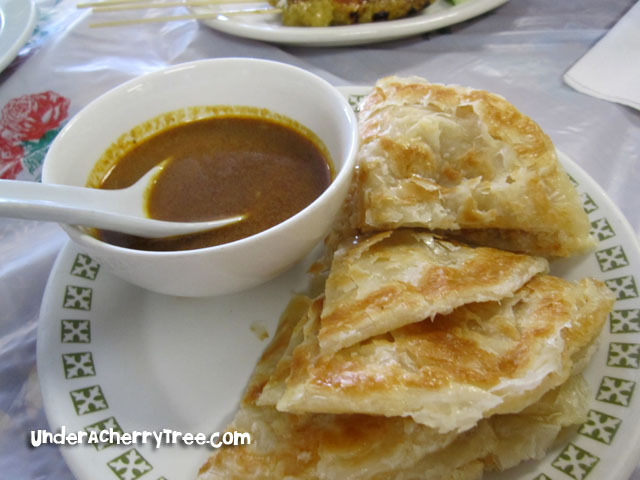 Seri Malaysia Restaurant has many glowing reviews because their food is that good. 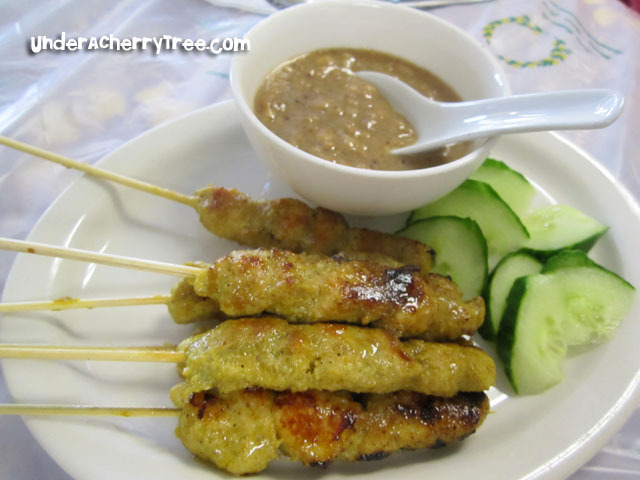 If you are into Southeast Asian cuisine, and happened to be in Vancouver, you must visit this restaurant. 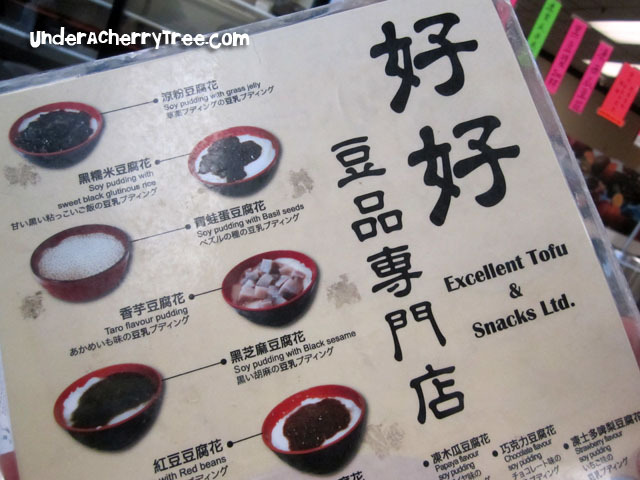 Whenever we go out to a Dim Sum restaurant, I always look forward to the soy pudding dessert. 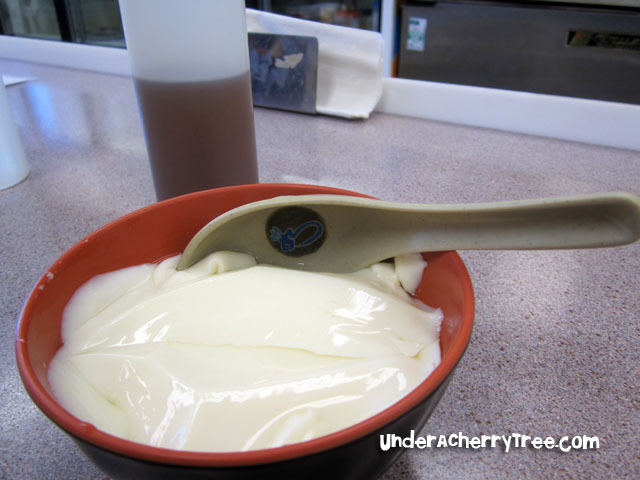 I was ecstatic when Hubby found a shop in Richmond, that sells nothing but soy milk and soy pudding! 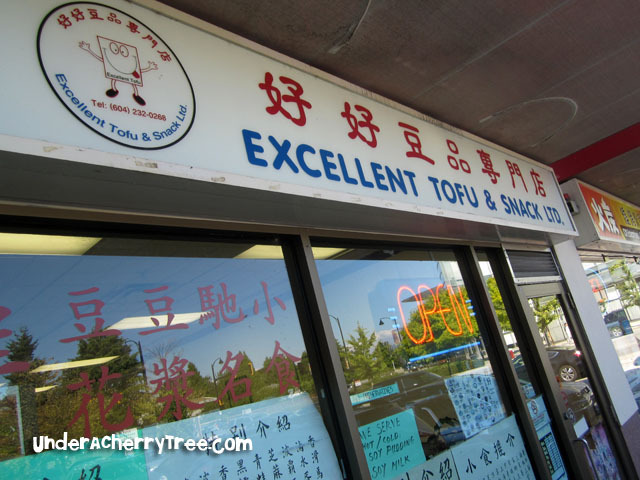 The 4.5/5 star review of Excellent Tofu and Snacks on yelp.com is spot on; the tofu dessert is delish! 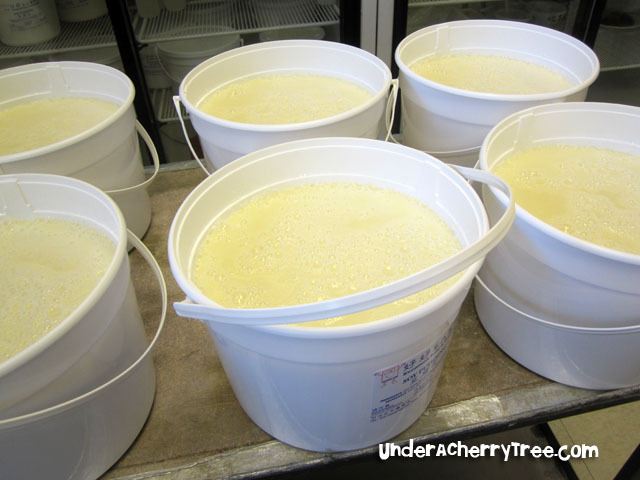 Buckets full of soy pudding! 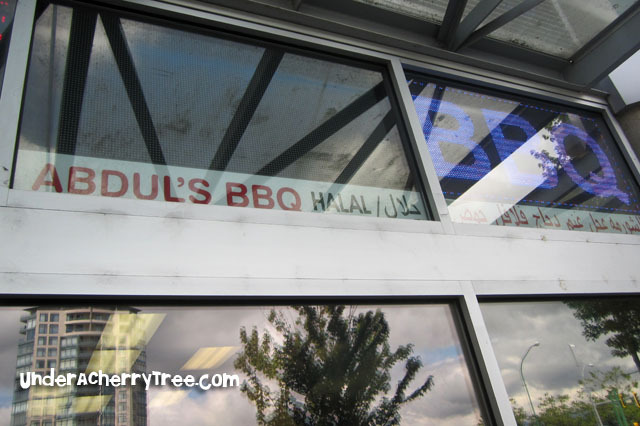 We spent 2 nights in Vancouver and before we made the drive back to Seattle, we stopped by Abdul's BBQ and Shawarma for lunch. Once again the reviews on yelp.com were accurate. 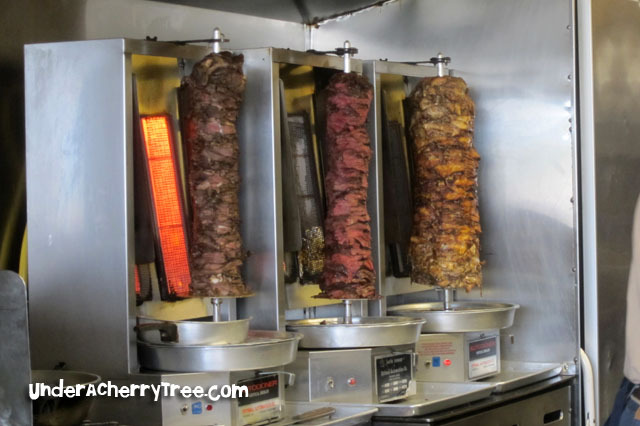 I had the lamb wrap and every bite is a burst of flavor! 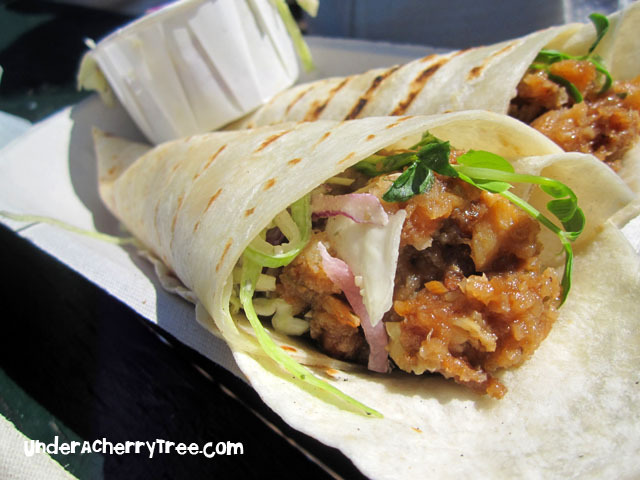 Hubby and our twin daughters enjoyed their wraps but my 5-year-old didn't quite appreciate the spiciness. I hope that you've enjoyed today's non-Lettering Delights/non-Make-the-Cut post. 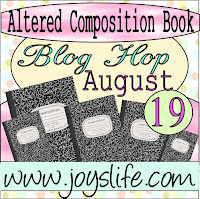 Tomorrow we will go back to crafting when we go on the Altered Composition Book Blog Hop that starts at Joyslife. LD Manic Monday: $1 Stick Kids! PSA Blog Hop (Day 4): You Rock! 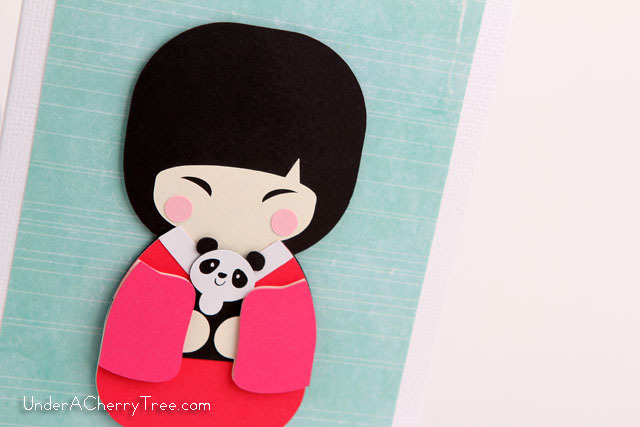 Impress Rubber Stamps + giveaway! One hot deal and 13 free fonts!